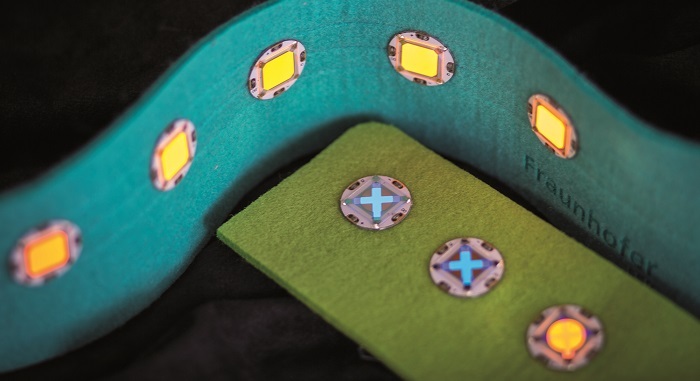 The Fraunhofer Institute for Organic Electronics, Electron Beam and Plasma Technology FEP has developed OLED elements that can be integrated into textiles. Organic light-emitting diodes (OLED) are mainly known from televisions and smartphone displays. They can be used as lighting objects in car tail lights or lights. 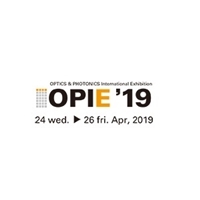 Fraunhofer FEP, as a partner for customer-specific OLED development and production will be presenting the OLED elements at the Electronics System Integration Technology Conference ESTC 2018 from September 18 - 21, 2018 in Dresden. Since scientists can adapt OLEDs to specific wavelength ranges, special applications such as in medicine are also conceivable. Infrared light, for example, is successful in the therapy of skin diseases. There is the possibility of shirts with integrated flat infrared lights to be used for light therapy. To simplify the integration of OLED elements in clothing and to give designers the opportunity to use the technology in an uncomplicated way, the scientists at the Fraunhofer FEP have developed a functional button. This "O-button" combines a wafer-thin foil-based OLED with a microcontroller on a conventional circuit board.